Many varieties of dumplings exist in Korea. 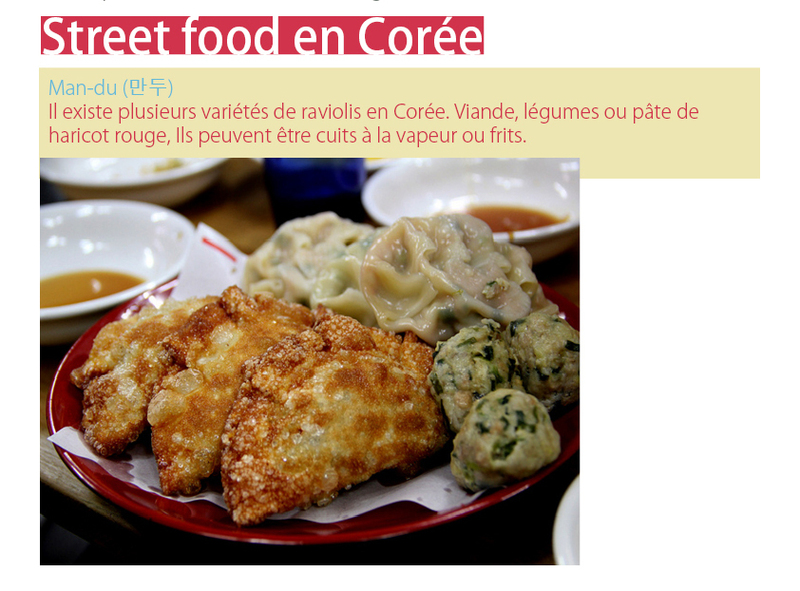 They include meat, veggies, and red bean paste. They can be steamed or fired and come in a variety of sizes. 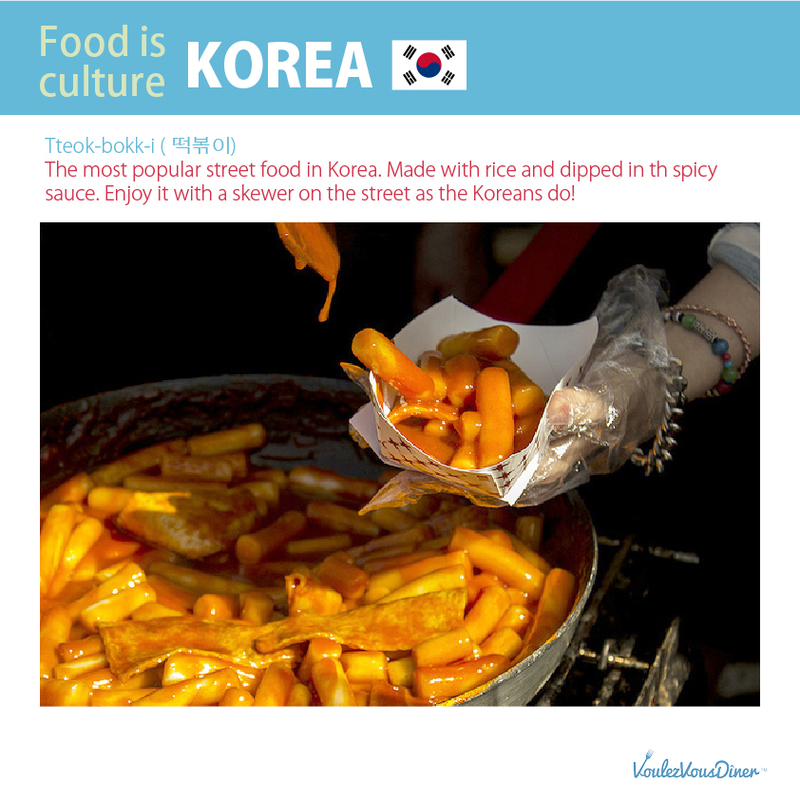 The most popular street food in Korea. Made with rice and dipped in th spicy sauce. 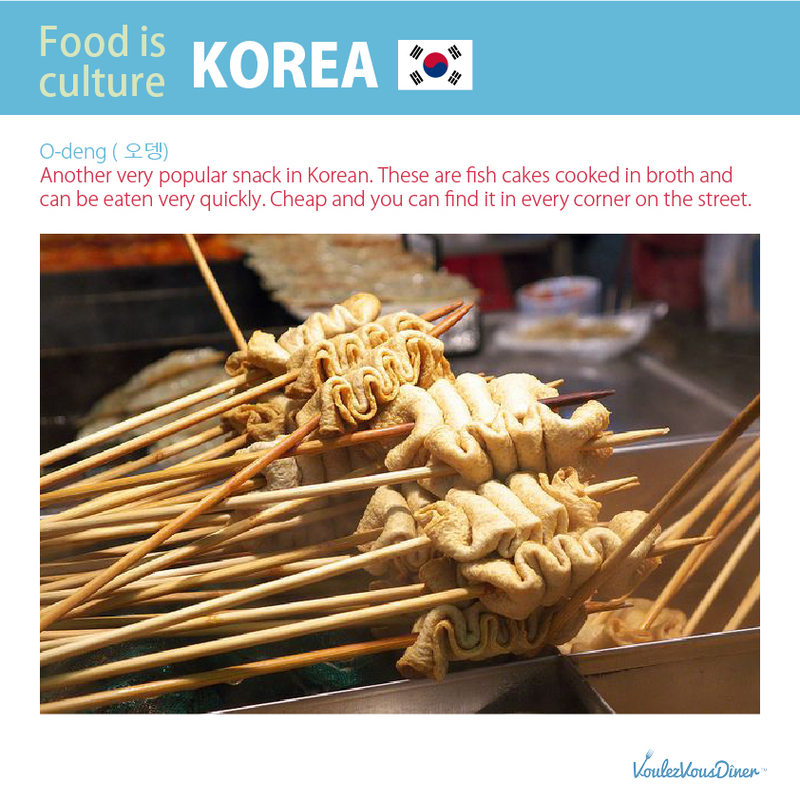 Enjoy it with a skewer on the street as the Koreans do! Another very popular snack in Korean. These are fish cakes cooked in broth and can be eaten very quickly. Cheap and you can find it in every corner on the street. 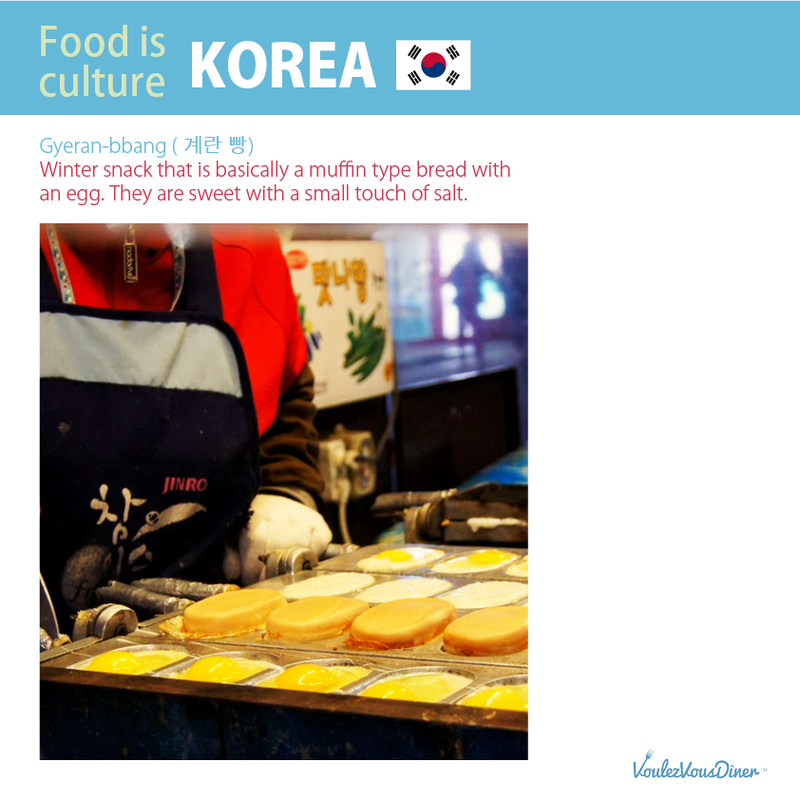 Winter snack that is basically a muffin type bread with an egg. They are sweet with a small touch of salt.